I have a good friend from high school who is asian and she and her husband own three restaurants up north. She taught me to make a simple Chinese meal and I wanted to share this recipe with you. It's one of my favorite meals and I know you will enjoy it. 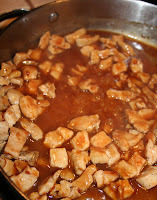 1) Whisk together the soy sauce, cornstarch and sugar and pour over your chicken and let it marinate for 20 minutes. This is want your marinate looks like, if you like your meal to have more sauce then double it. 2) While the meat is marinating cook your rice or noodles and follow the instructions on the package. After 15 minutes toss everything into a pan on medium-high heat. Cook till chicken is done (about 10 minutes). 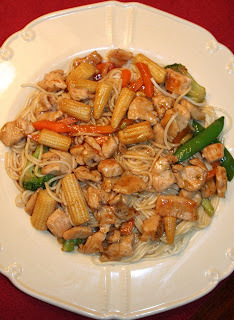 You may need to add some water so sauce doesn't dry up and you may also need to add more soy sauce and corn starch. Just eyeball it and make sure your sauce doesn't dry up. 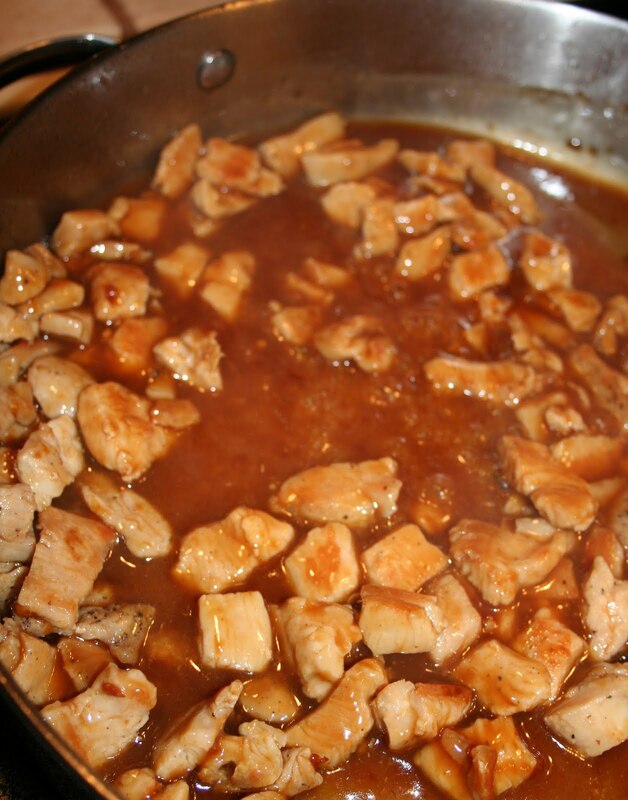 When chicken is done, add 2 tablespoons of oyster sauce to the pan and mix it well into the chicken. 3) Finally add your veggies and cook till tender and make sure your sauce isn't drying up. If you need to add some water or oyster sauce go ahead and do so at this time. When veggies are done turn off the stove. 4) Serve your rice or noodles on your dinner plate and place your chicken and veggies over your rice and noodles. You don't want to add any salt, pepper or any other seasonings to this meal, if you do you will end up with a very salty meal. This meal takes about 35 minutes to make and one pan for an easy clean up. For variation, use turkey meat or just different veggies to marinate in your sauce and cook and serve. Veggies are always the last thing to add so they don't get mushy. I serves it over noodles. Love to hear from you, so leave a comment. Well, this looks so delicious! Thank you for sharing it Vanessa! I hope I can use the recipe and make this one day! NEW LOOK, NEW LOGO, NEW NAME! !